My daughter and I had fun one evening with some plain canvasses I had laying around. While she worked on an art piece for her room, I created a piece for my son's room. Since subway and typography art is all the rage I thought I would jump on the bandwagon but add a little twist. I love the look of eye charts as well and mixed the two to create something unique. Using the quote" May the force be with you," I created an one-of-a-kind original for my Star Wars fan. Start with a canvas and paint it black (or leave it white to create a classic eye chart). Using the computer print up your quote, playing with the font size and arrangement. Classic Snellen eyecharts use the "Courrier" font, which is what I chose to use as well. You can create your own Snellen eyechart here or just play around on the computer until you achieve the look you want. Next would be to arrange the lettering on your canvas. Originally I was going to trace the outline of the letters and paint them in but wasn't confident in my detailing-with-paint skills so I highlighted the font with the computer to make the letters white. Using scissors I cut out each letter and adhered it to the canvas using Mod Podge. 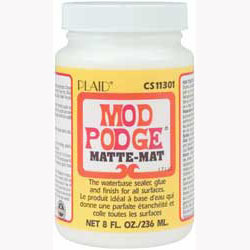 I then gave the whole piece a thin coat of Mod Podge. I added the subway/eyechart art to a gallery wall I arranged in his room. My son is a collector of sorts and loves to hold onto things that are special, why not display them for all to see? See the monogram "A"? Come back next week and I'll share how I made it! I am slowy getting back into a more regular schedule as our summer holidays are winding down, 2 weeks left! My hope is to bring you more projects as I finish them. We are possibly re-arranging 3 bedrooms in our house, moving kids from one space into another to create a games/office room for the kids to hang out. This is great! My boys love anything Star Wars and this is a much cuter way to display it! I've seen a couple of these done and LOVE this one with the Star Wars reference! Gotta try this! You're directions are totally easy and do-able! Thanks for sharing this project! this is so cute :) come on over and link up to MMM! I love how your subway art turned out Babraba! I'm hoping to do some sort of a subway art project as a Christmas gift for my sister who lives in Chicago. Thought it would be fun to do one using all the names of the landmarks from the city. This would be the perfect project for me as I work for Optometrists! Thanks for the inspiration and for sharing. This is so fun, Barbara! I love graphic pieces and the Star Wars saying is great! This is fantastic! I shared it over on my facebook page! Love it love it love it! I am totally doing one! What a fun idea! I have a couple of Star Wars fans myself! Might just have to copy your idea if you don't mind! Absolutely darling it is! this cracks me up! i'm including your project in a post tomorrow on crazydomestic.com! feel free to grab our "I was featured" button! Cute idea... and it turned out great! can you tell me what size canvas you used. I think I'm gonna scraplift this idea from you! thanks for sharing your creativity! my son is obsessed with Star Wars! I used a 12 x 12 canvas from a local art supply store. Hope that helps! I'm making this one today! This is just brilliant and fun! Thanks so much for sharing! This is SOO cool! My hubby is a HUGE star wars fan and I'm gonna totally copy this idea and give it to him at Christmas!! Thanks so much! I just found your blog through a series of random links and am SO glad I did!! LOOOOOVE this craft!!! I loved you Eye Chart! This would be great for my son and my ex-husband, they are both Star Wars fans!!! Can you share the font size you used?